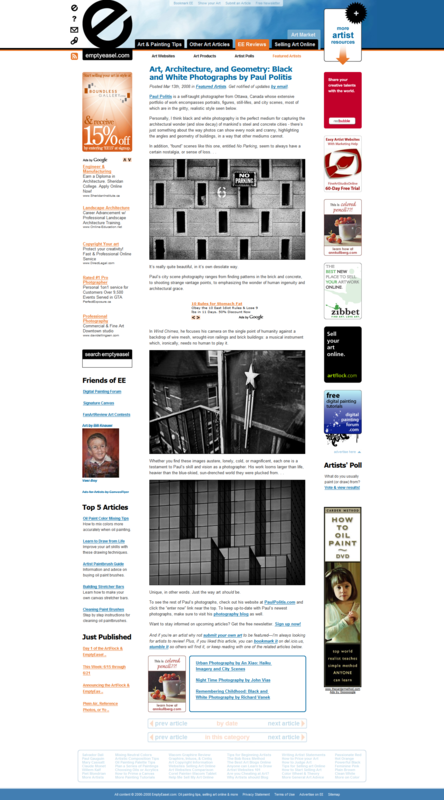 A thoughtful review of my photography at EmptyEasel.com. “Whether you find these images austere, lonely, cold, or magnificent, each one is a testament to Paul’s skill and vision as a photographer. His work looms larger than life, heavier than the blue-skied, sun-drenched world they were plucked from… Unique, in other words. Just the way art should be.” Read the full review.